記得去年在牛棚的討論會上Jimmy已指出, 民間記者不能把真確性的事留給讀者自己去判斷和查證, 而主流差並不代表民間記者會做得比他們好. 當場我無法回應, 只能說以DIY的方式邊做邊學. 但現象回應不了Jimmy的問題, 亦不能消除人家的疑慮, 因為在網絡中, 有太多的populism出現, 美國右翼民粹主義者利用網絡散播各種歧視和戰爭的言論令人咋舌, 若說民間記者的純潔和責任在於他們的自發spontaneous, 是說不通的. 而當我們要在社會上鼓吹民間記者的實踐, 亦要回應這核心問題. 正好過去一個月, 美國的blogger搞了一個關於blogger journalism的公信力和倫理的會議, 對我啟發很大. 美國不愧為一個富有民主經驗的社會. 面對著新的現象或民主的工具, 他們很快就去討論這民主工具的內涵, 而當中最核心的問題是價值和倫理. 我覺得有志發展網絡空間的都認該一讀. 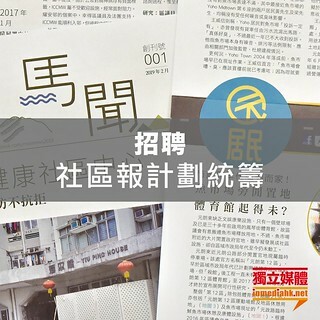 報告沒有區分blogger journalism 和 traditional journalism, 而是去打破兩者的分隔, 探討新的倫理實踐. 當中有一個有關 existential journalism 和social responsibility journalism 之間的爭論, 很有意思, 報告者沒有在兩者之間作出取捨, 而是保持了兩者之間的張力. with an audience but is insufficient to achieve credibility. We do not prescribe ethics standards for bloggers. Instead, we recommend that bloggers involve their audience in a co-authored process that addresses the personal information the bloggers are willing to share, the principles they stand for, and the processes they follow. Transparency can alert the audience to important information. It addresses the critical question of how the work is created. Transparency by itself rarely reveals much of the why, though, and that.s a critical dimension for any audience. That.s why we urge bloggers . as we urge journalists . to be transparent about the principles they stand for and the processes they follow in the course of upholding them. questions they have about the blog, what might increase their level of trust, etc. Ethics should not be seen as a set of rules aimed at restricting the flow of information. arriving at decisions toward that end. Good journalism evokes a wide range of emotion and provokes people to act, whether that involves expressing choices in a voting booth or engaging in spirited discussions with family or friends about the latest news. High quality reporting serves the civic good. Journalists who fail in their duty create negative consequences. Citizens are uninformed or misinformed. Poor reporting can produce apathy. It can create rumors and cause fear. Incompetent journalists cause harm, sometimes damaging reputations and victimizing vulnerable people. Bad journalism fails to serve the public good. information must have confidence that what they are getting measures up. When the trust erodes, the credibility of the journalist falls and the value of the information declines. theory of the press. That approach is in considerable tension with the concept of social responsibility. responsibility theorists urged the press, government, and the public to actively promote not only freedom of expression but also the requirements the Hutchins Commission defined for a free and responsible press. transparency . and their credibility . with their audience. They.re opening their eyes to a fact of life that Dan Gillmor has taken up as something of a creed: the readers (at least some of them) know more about a story than its author does. you move beyond transparency to accountability. That means not simply the disclosure of personal information you.re willing to share, but the justification of your actions that comes with discussion of principles you uphold and processes you follow on your blog.